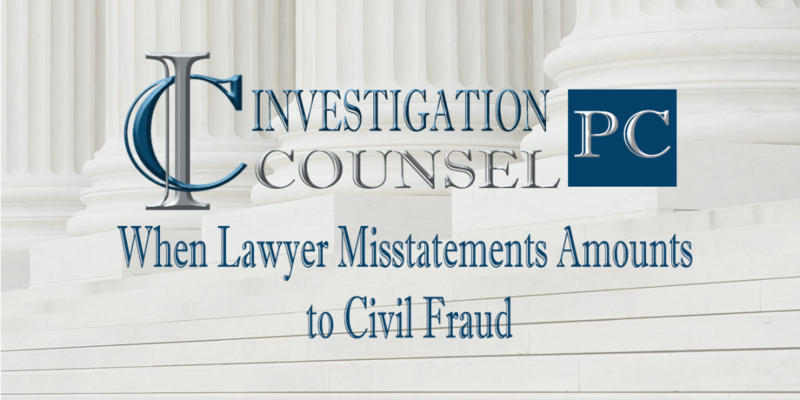 In our fraud recovery litigation, from time to time, we encounter lawyers for alleged fraudsters who make positive statements on behalf of their clients with the intention of having the court and opposing counsel rely the statements as if they are honest. In other words, we deal with lawyers who seek to give the impression that, by virtue of their profession, their statements not supported by evidence are honest and they not being used as a tool by the client to dupe the Court. As an example, we recently dealt with a rogue’s lawyer who advised the Court, in the context of a civil contempt proceeding against the rogue, that an adjournment was necessary because the rogue was in police custody and therefore attend court. In fact, this lawyer’s statement to the Court was not true. This false statement was made after the lawyer was aware of his client’s long criminal record for fraud and breached orders to attend court, and after the lawyer was aware that his client had lied to the Court on numerous occasions in prior civil contempt proceedings. In the example discussed above, the issue became whether the rogue’s lawyer should be personally liable for costs. The lawyer made similar false statements at the subsequent contempt hearing based on his rogue client’s unverified information, and then filed an affidavit with false information sworn by the rogue in yet a third adjournment attempt in the same contempt proceeding. This behaviour, in the absence of due diligence, raises the issue of how far will a Court let a lawyer go with making false statements before a sanction will be imposed. The Court of Appeal in Paulus v. Fleury, 2018 ONCA 1072 provides some insight into this issue. On February 20, 2018, the motions judge in Paulus v. Fleury ruled that statements made by the plaintiff lawyer to defence counsel at a pre-trial to induce a settlement in a personal injury action amounted to civil fraud, and based on this finding the Court set aside a settlement for $850,000 agreed to at the pre-trial. The Plaintiffs appealed the decision that their lawyer engaged in civil fraud, and sought an order to enforce the settlement. On December 21, 2018, the Ontario Court of Appeal overturned the finding that the plaintiff lawyer’s statements to defence counsel amounted to civil fraud, and held the settlement reached at the pre-trial was enforceable. The Ontario Court of Appeal relied on the recently released Supreme Court of Canada decision in Groia v. Law Society of Upper Canada, 2018 SCC 27, to conclude that a lawyer does not engage in misconduct if he or she acts on his or her client’s information in good faith. asked the Court to set aside the settlement based on “false representations of counsel [that] would create a real risk of clear injustice to the defendant” (para 34). as a result the defendant incurred a loss in the sense that they agreed to pay more than the case was worth (para 51). The motions judge further held that the plaintiff lawyer was bound by the doctrine of honesty and good faith in contractual dealings as declared by the Supreme Court in Bhasin v. Hrynew, 2014 SCC 71. In other words, if one choses to make a statement, it must be an honest statement in the context of contractual dealings. The motions judge stated “it is obvious that counsel have a duty not to lie or make knowingly misleading factual statements” and that this duty is owed to both the Court and to opposing counsel (paras 58 to 59). The motions judge acknowledged that an opposing lawyer is not obligated to disclose weaknesses in his client’s case, but if a lawyer raises an issue, then the statements he or she makes must be honest (para 62). The Court of Appeal noted that the motions judge did not have the benefit of Groia v. Law Society of Upper Canada, 2018 SCC 27, at the time he heard the motion. Groia is relevant because of its discussion regarding a lawyer’s duty of resolute advocacy on behalf of a client. That duty is relevant to an assessment of whether submissions by counsel amount to civil fraud. In Groia, the Supreme Court held that the fact that a lawyer is mistaken is not a basis in itself for a finding of misconduct. Where counsel challenges opposing counsel’s integrity, that challenge does not amount to professional misconduct if the allegations are reasonably based and made in good faith, even if counsel is mistaken (para 12). [For a lawyer], maintaining a reputation for practicing with integrity is a lifelong challenge. Once sullied, a lawyer’s reputation may never be fully restored. As such, allegations of prosecutorial misconduct must have a reasonable foundation. 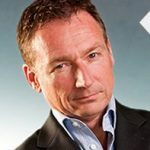 …The consequences for the opposing lawyer’s reputation are simply too severe to require anything less than a reasonable basis for allegations impugning his or her integrity. The Court of Appeal held that the statements of the plaintiffs’ lawyer were not statements of fact, but rather statements of opinion for which there was a reasonable basis at the time the statements were made. The Court of Appeal noted that “there was no indication of a criminal record that might undermine the witnesses’ credibility or any other history of dishonesty” (para 23). The Court of Appeal characterized plaintiff counsel’s statements as a “legitimate exercise of advocacy. No complaint could have been made if counsel had provided a jury with the same observations concerning the quality of the witnesses in issue. Opinions as to whether someone is a good or independent witness are as open to debate and disagreement as opinions as to whether someone is a good lawyer” (para 24). When do False Statements by Lawyers Amount to Civil Fraud? In Paulus v. Fleury, the Court of Appeal held that a factual misrepresentation by counsel in judicial proceedings could amount to deceit or civil fraud when, for example, counsel tender a forged cheque as evidence of payment of a debt knowing the cheque was a false document. “In those circumstances there would be no reasonable basis for the factual assertion; nor could it be said that the statement was made in good faith” (para 30). In applying this logic to the fraudulent adjournment that we were dealing with, it suggests that a lawyer should not make statements to the Court if the lawyer is basing statements solely on unsworn information from a rogue. If the lawyer takes the risk of making statements based solely on information from a rogue, then the lawyer has a duty to disclose his or her false statements once the dishonest nature of the statements is known to him or her. The bottom line in the Paulus v. Fleury decision was the Court of Appeal’s observation that mistakes by lawyers are a “frequent occurrence”. Counsel may lose credibility with the Court and their colleagues if they are not scrupulously careful about factual assertions, or if they advance arguments with no reasonable foundation, but these should not amount to civil fraud in this context unless there is neither a reasonable basis for the statements nor a good faith belief in their accuracy (para 29). At Investigation Counsel PC, we investigate and litigate fraud recovery cases. If you discover you are a victim of fraud, contact us to have your case assessed and a strategy for recovery mapped out before contacting police or alerting the fraudster. We also promote victim advocacy and academic discussion through various private and public professional associations and organizations. If you have an interest in the topics discussed herein, we welcome your inquiries.